Des was most recently the Chairman & Chief Executive Officer of Standish, a specialist fixed income asset manager with $170 billion under management. Standish is part of BNY Mellon Asset Management. He sat on the Executive and Operating Committees of BNY Mellon Investment Management. In 2012, he was made a member of the Bank’s Operating Committee. Des joined Standish in January 2005 as the Chief Operating Officer and subsequently rose to the position of President in 2007 before becoming the President & CEO in February 2009 and Chairman in 2012. 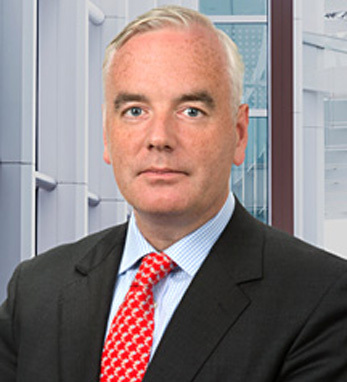 Under his leadership, Standish became a global integrated firm with operations in the U.S., the U.K. and Singapore with clients in 42 countries. Des has an M.Phil. in Management Studies from the University of Exeter, where he also served as an Honorary Research Fellow, and a B.A. from University College Dublin. He serves on the New England Advisory Board of the American Ireland Fund and Chaired the Boston Gala in 2013. He also sits on the Board of the Alzheimer’s Association Massachusetts / New Hampshire Chapter and recently retired from the Board of Inly School in Massachusetts. Born in Dublin, with roots in counties Cork (by way of Butte, Montana), Cavan, and Kildare. Des says: “My Irish heritage means looking outward but always with a view towards home.” He and his wife, Linda have three children and live in Boston.